After our excursion to the San Luis Valley last weekend, we decided to stick closer to home this Saturday. 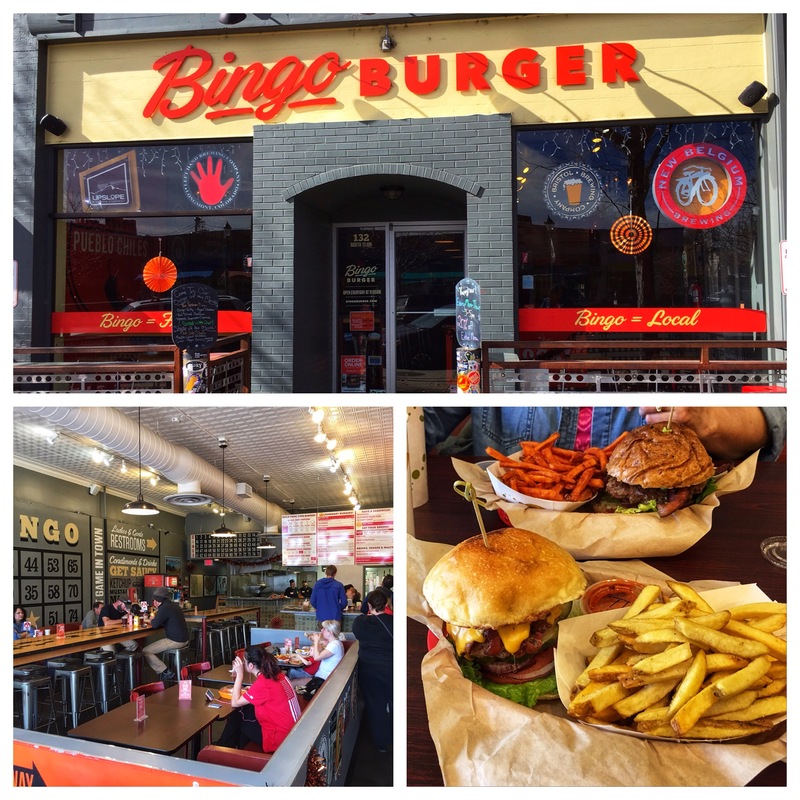 Our first stop was lunch, at Bingo Burger in downtown Colorado City. A Bingo Burger, by definition, had Pueblo peppers ground in with the meat. I ordered one, with bacon and cheese. With my fries, I also got tangy thousand island dipping sauce. Sally had a regular beef patty with avocado and bacon. With her sweet potato fries, she got ranch dipping sauce. I thought my meal, except for the sauce, was rather bland. I saw, but could not taste, the presence of peppers in my burger. Sally thought everything about hers was great. 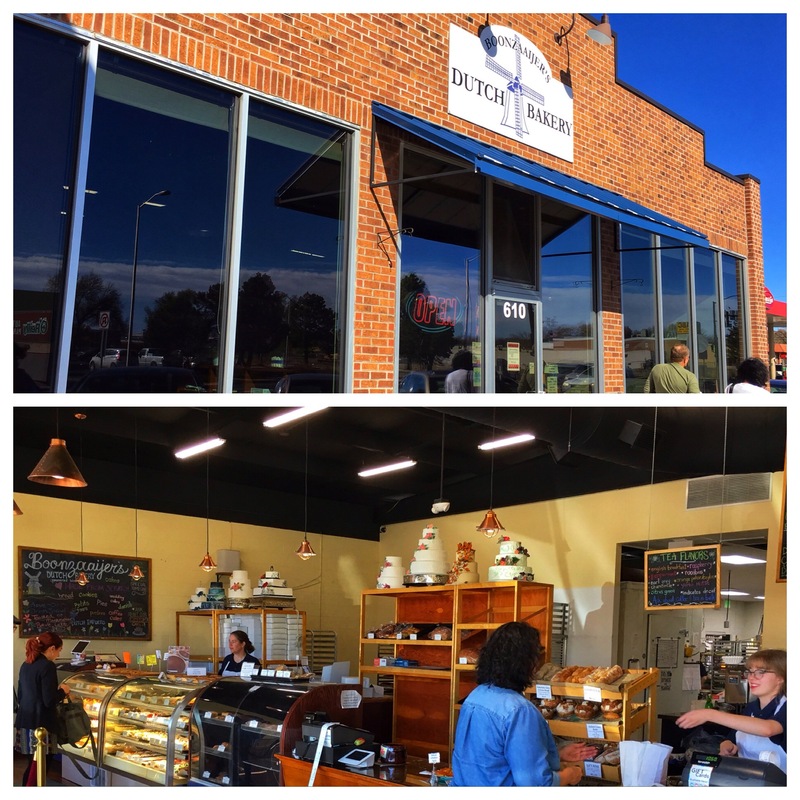 We walked the streets downtown for a few blocks looking for chocolate. 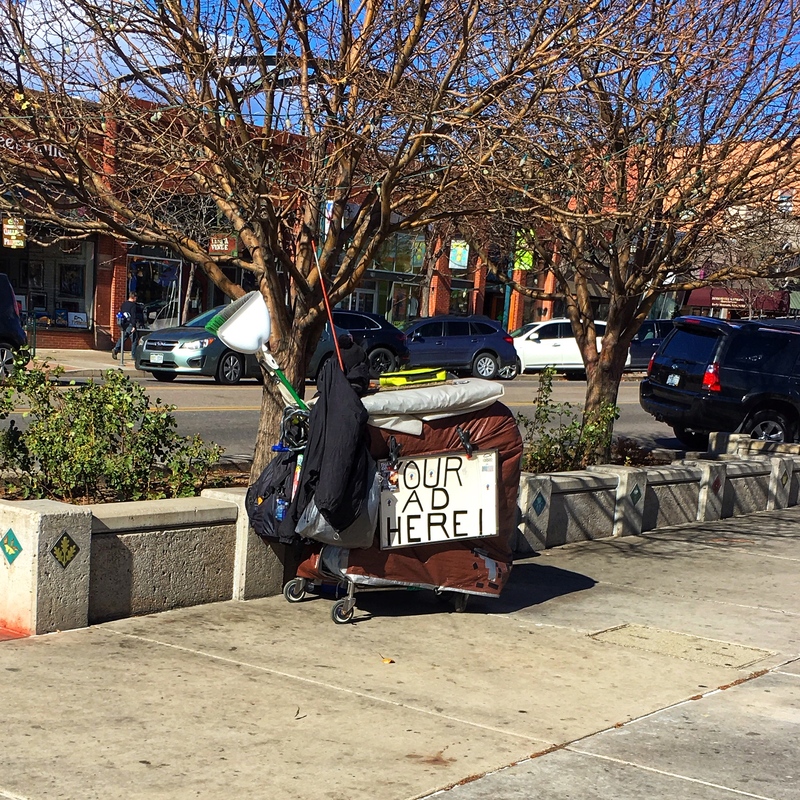 Along the way we saw three guys dressed in full WWI field gear, another guy in a kilt, and eight guys peddling, four on a side, down the street on some sort of canopied table. We also saw this. 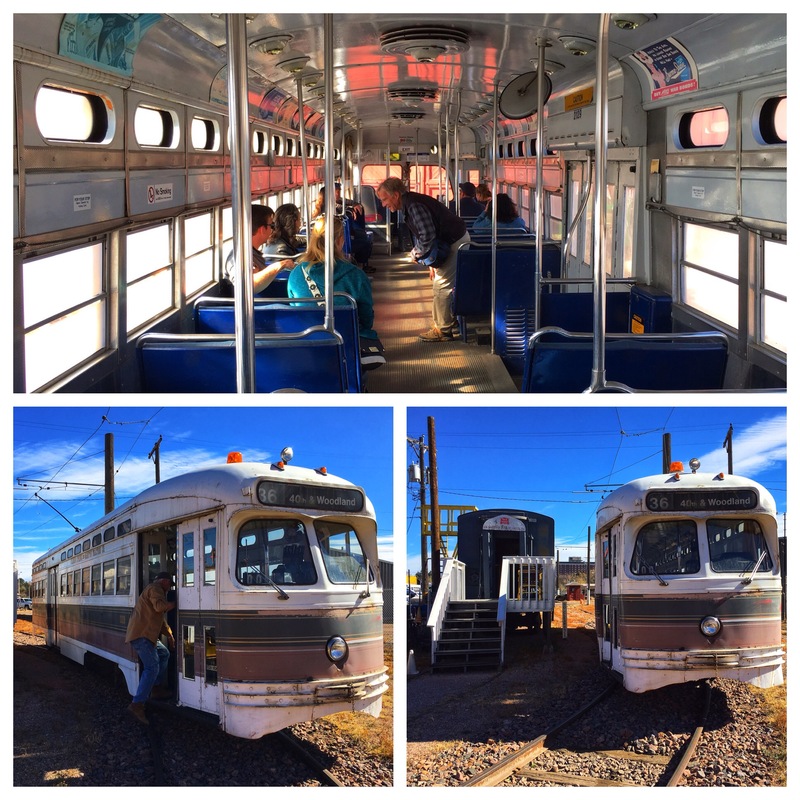 We drove into the industrial section north of downtown to the Pikes Peak Historical Street Railway. 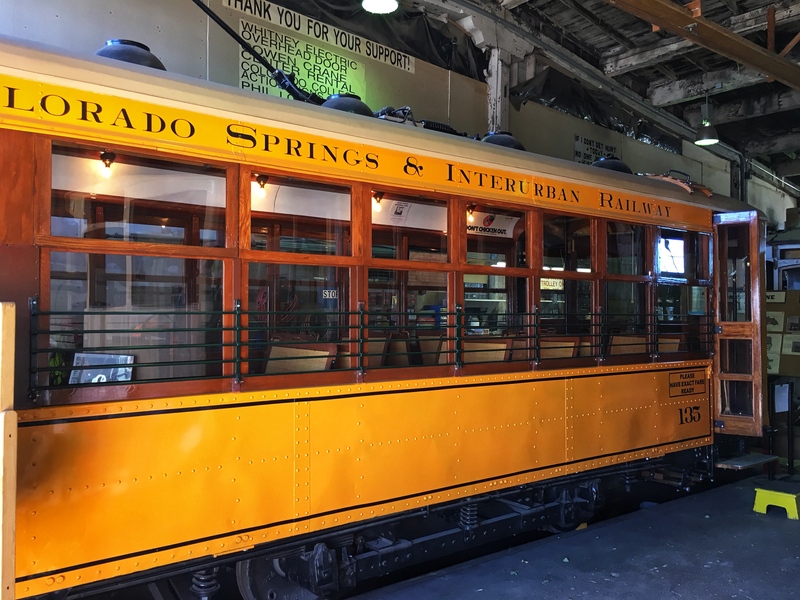 The organization is dedicated to the history and restoration of trolleys in Colorado Springs. 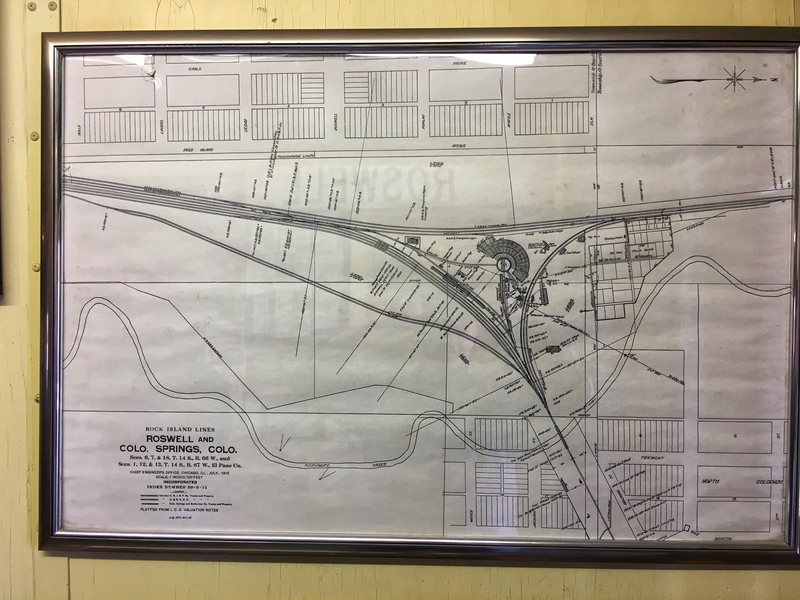 On their rather small lot, they have “nine train cars, 12 trolleys, and four buses that we don’t want but were part of a deal.” The building is part of the old Rock Island roundhouse, which once had 16 bays. Twelve of the bays have been removed, and there isn’t enough left to make it officially recognized by the historical register. Our tour guide told us that the building is leased from the city. He’s convinced that, should the museum move out, the city would tear down the building, so they never intend to move out. 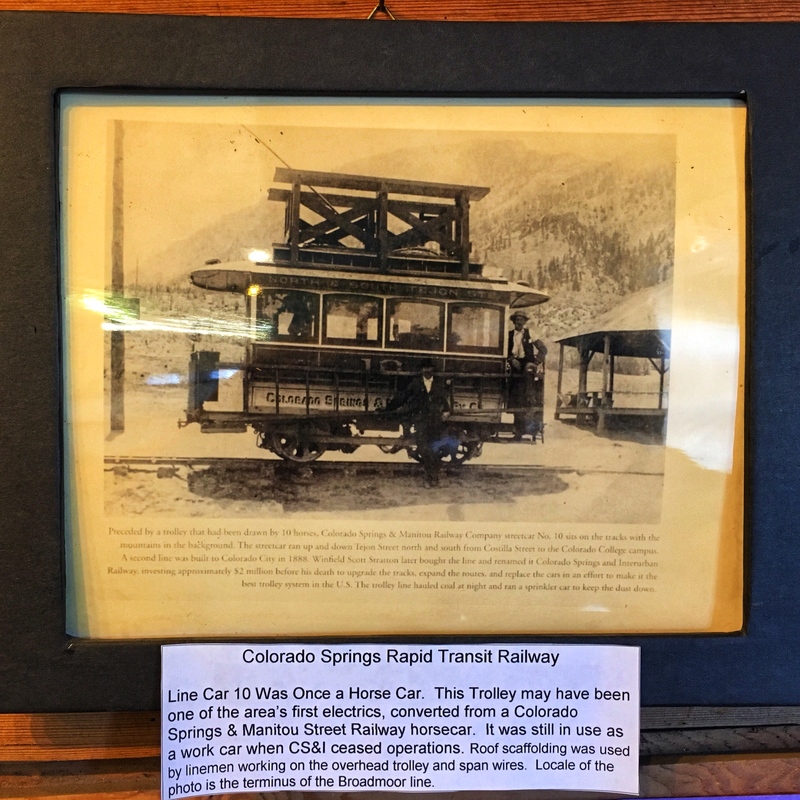 One of the goals of the organization is to bring street railroads back to Colorado Springs. They’ve hatched several plans, but so far none have panned out. 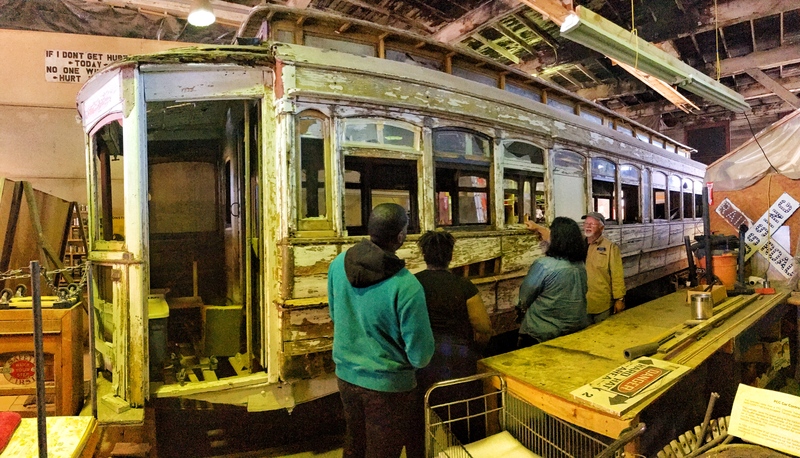 But in hopes of that day, they have nine old Philadelphia trolleys, all painted white to prevent further rusting, sitting outside waiting to be restored. One of them has been fixed to working condition. We got to ride on it—a two-minute roll down a short section of track. It would have been longer—perhaps an additional minute—if there wasn’t a flat car “that we need to get rid of” sitting on the track. 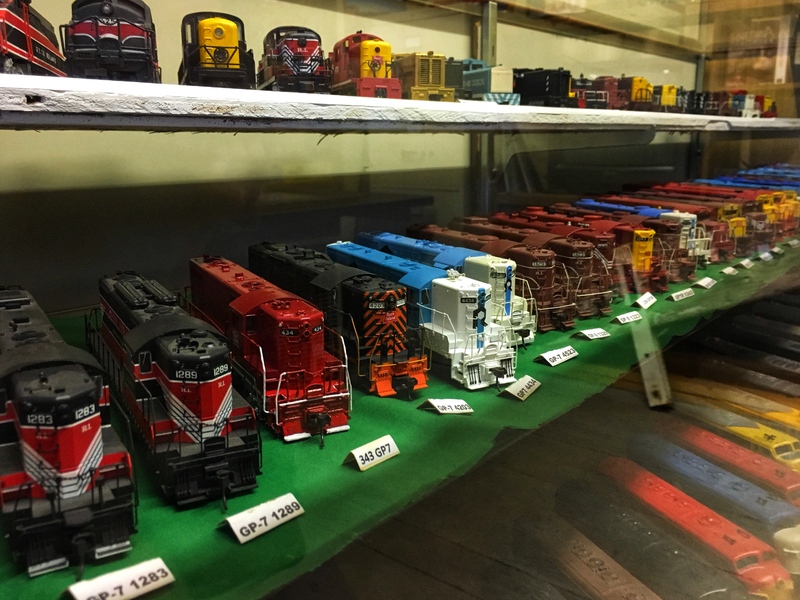 Our tour also included a stop in an old flat car converted into a Rock Island museum. 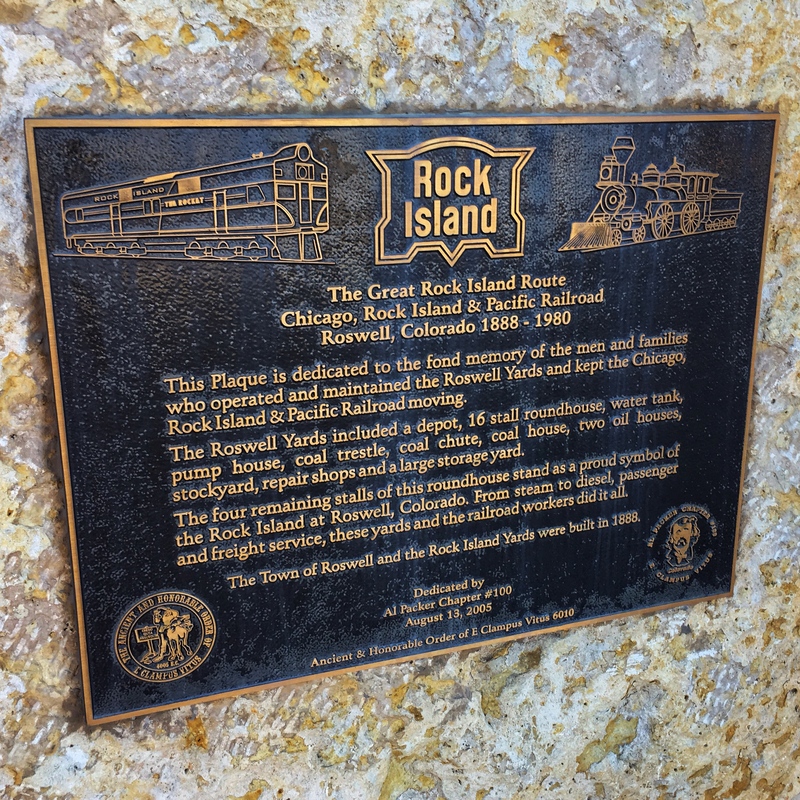 When our guide found out we were from Chicago, the home of the Rock Island Railroad, he assumed I knew much more that I did. I was able to respond intelligently to a couple of his comments, and that just cemented his conviction. At the end of the tour, he even asked me to become one of the volunteers. We wandered about the yard looking at various pieces of equipment. The Army football team was in town to play the Air Force, and jets were flying maneuvers overhead as we walked. We got to sit in an old restored trolley in the roundhouse. I asked how much of the original car had to be left to consider it the original car. He said they can usually use about 10% and use the rest as a template. Here’s an old one that’s not yet been restored. Some guy lived in it for many years. They tried to get it several times, but the guy didn’t want to sell his house. 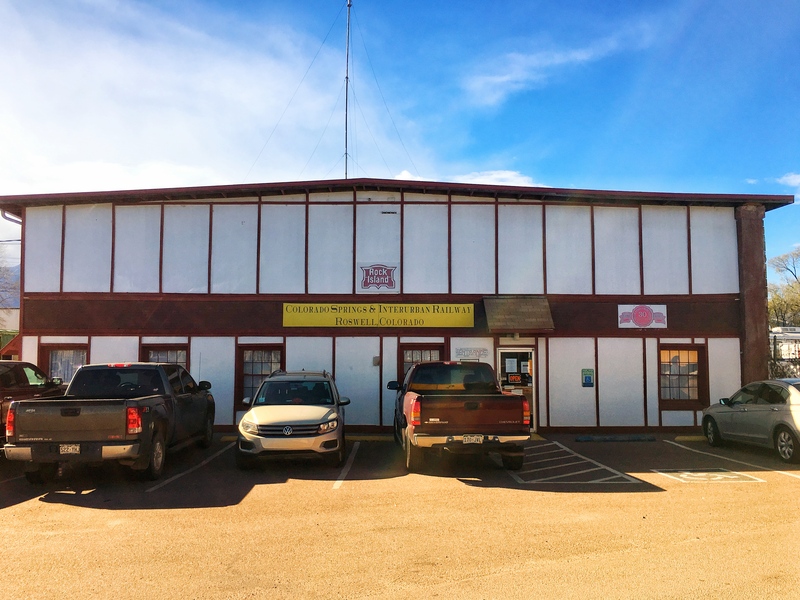 When he died, the museum bought the property, moved the car to Colorado Springs, then sold the property at a profit. 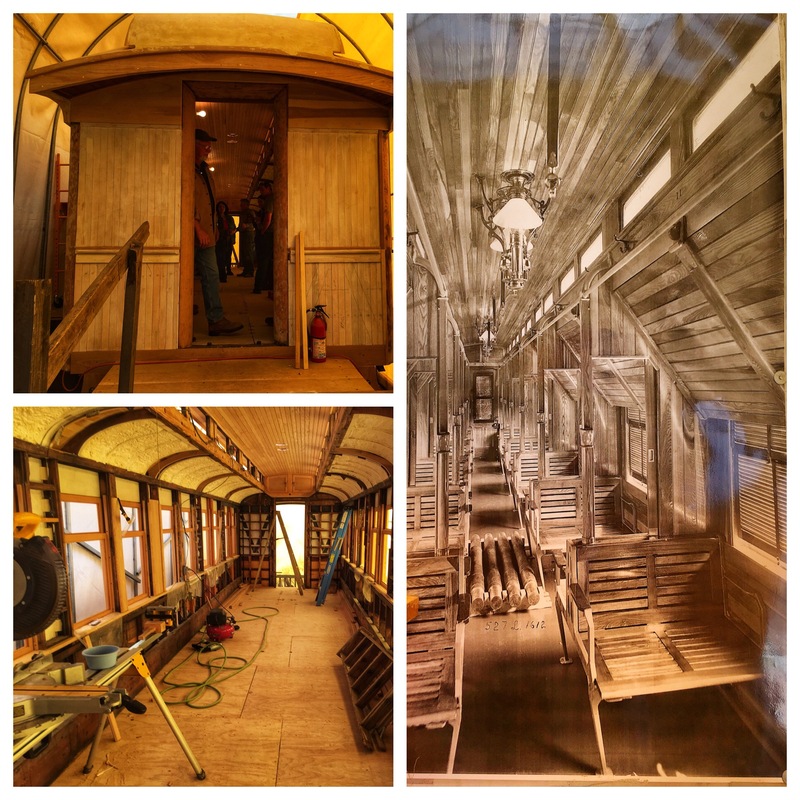 In a tent outside, we got to see an old sleeper car that was in the process of being restored. An old guy came in and told us about the process. The ceiling had just been finished earlier this day. 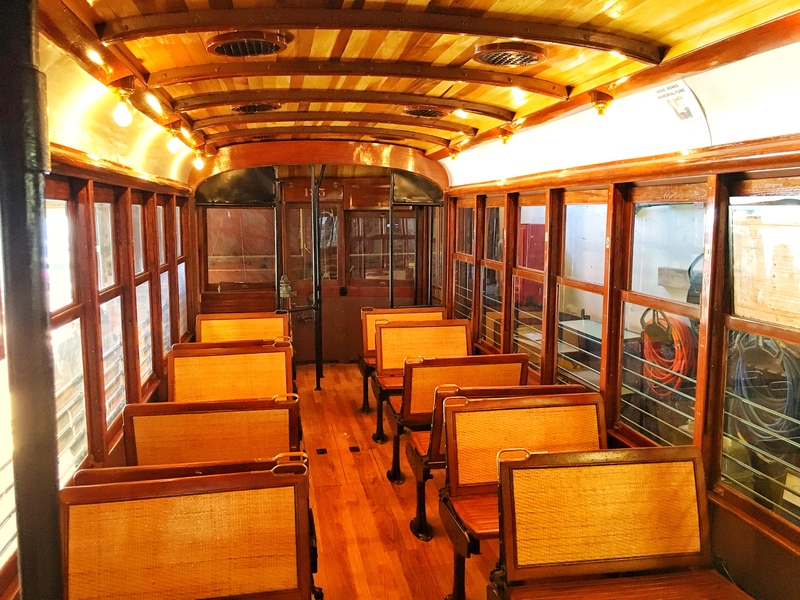 In the old photo of the original car, you can see the seats that turn into bunks and the shelves above that lower down to become more bunks. It doesn’t look comfortable. 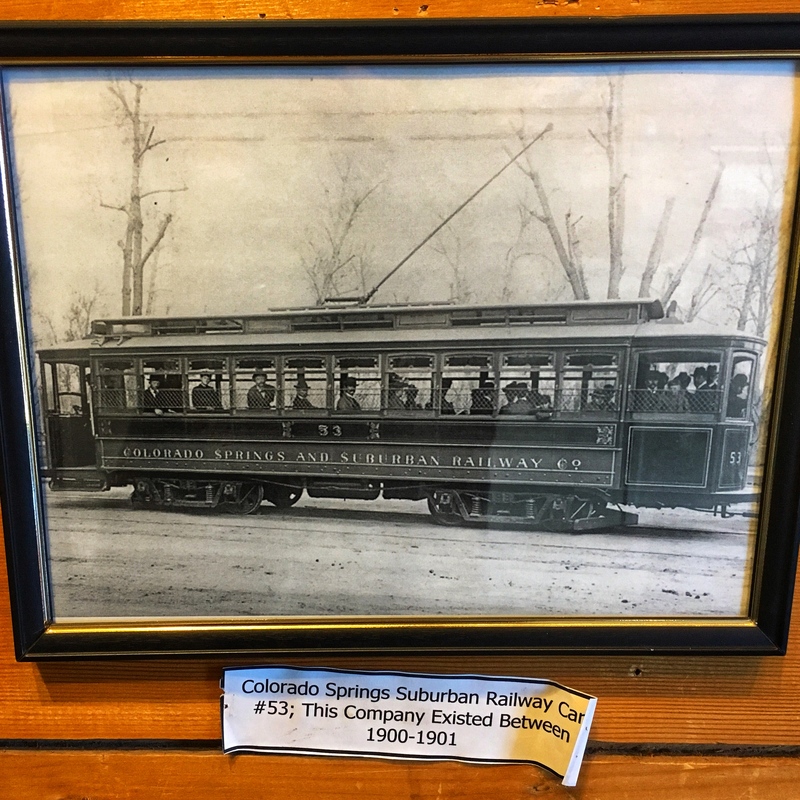 The main building had some displays and photos of old trolleys in the Springs. I think it would be fun to return in a couple years to see the progress they’ve made on some of the cars. 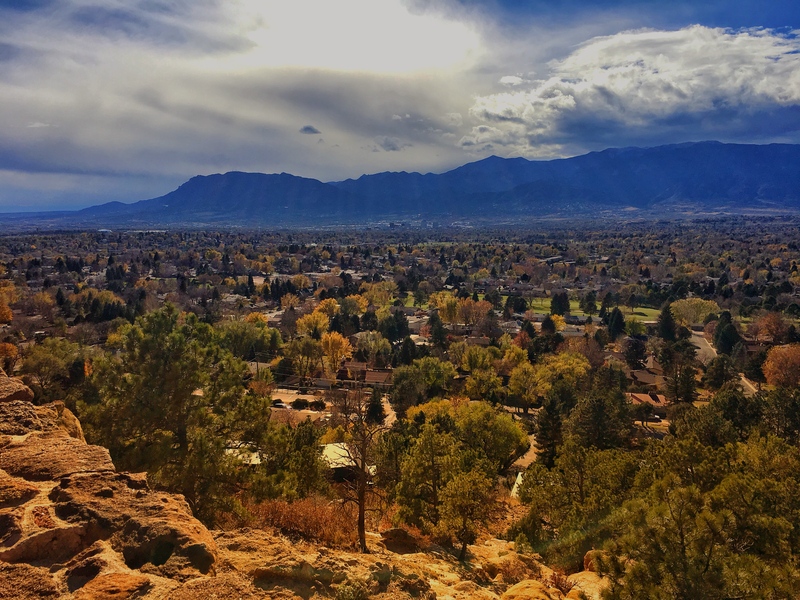 The day was clear and sunny and the view from Palmer’s Park was fantastic. 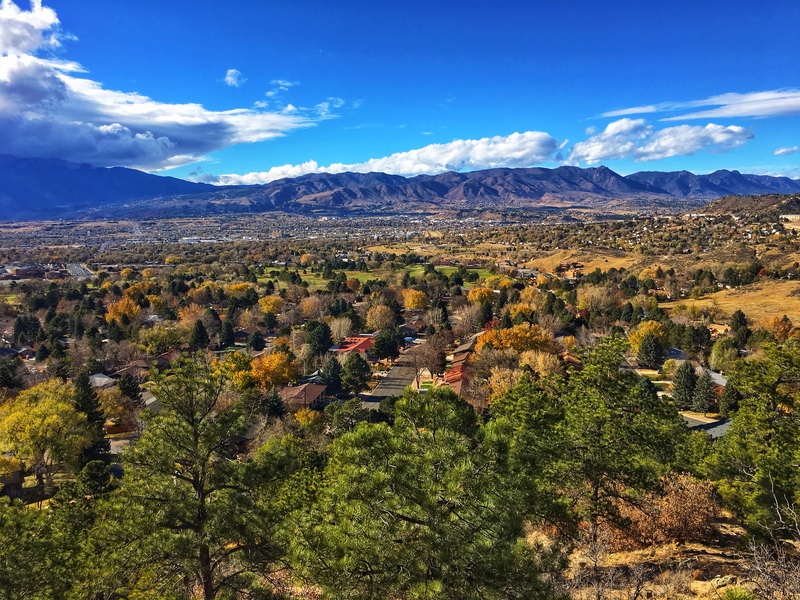 There was still some color in the cottonwoods on the southern part of town. We did a bit of shopping and walked around the “lakes” in Fox Run Regional Park before heading home. This entry was posted in Food, Museums, Scenery, Transportation. Bookmark the permalink.